There’s a lot to understand about the female anatomy, and though we have these amazing bodies to live in, we don’t necessarily understand all the ins and outs of ownership. Just think about how much there is to understand! Not only do our bodies change throughout the years, but there’s constant change every day of every month with hormones, ovulation, and menstruation cycles, not to mention the dramatic changes that a woman’s body sustains during pregnancy and postnatal recovery. What do we need to teach young women about their bodies, and when should we start this teaching? Not only should we be educating our girls about their menstrual cycle, as this article suggests, but we need to let them know they have a pelvic floor, and we need to get them connected to it as soon as possible! 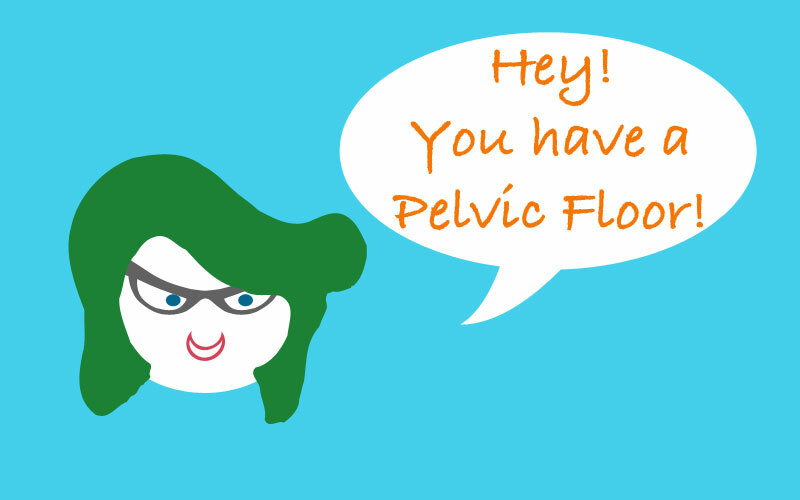 Did you think about your pelvic floor at all when you were a teenager? Did you realize that you have very specific muscles that you rely on to control when you (don’t) pee? Even during pregnancy, I heard ‘kegels will help with childbirth’, but I was in pretty good physical shape and I didn’t really think about after childbirth, and how important it is to keep the pelvic floor strong. The idea that I would have a hard time laughing without crossing my legs didn’t even cross my mind. Maybe I was naive, but I’m certainly not the only one. So, I’m thinking this should become part of the conversation we have with our girls about menstruation, because life after baby gets busy, and you don’t want to be thinking about your pelvic floor muscles for the first time while chasing a toddler after drinking a full cup of tea.